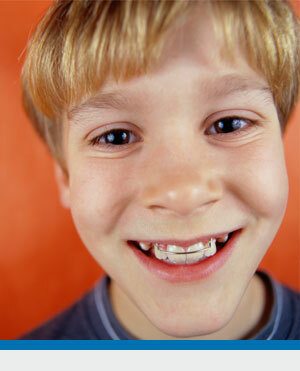 The American Association of Orthodontists recommends that most children should have an orthodontic screening by age 7. This allows Dr. Lance Miller to determine if orthodontic treatment will be required and the best time for the patient to be treated. Many of the dentists in our community have been trained to identify orthodontic problems early, and may refer you to our office earlier than age 7. If early treatment is indicated, Dr. Miller can guide the growth of the jaw and incoming permanent teeth. Early treatment can also regulate the width of the upper and lower dental arches, gain space for permanent teeth, avoid the need for permanent tooth extractions, reduce the likelihood of impacted permanent teeth, correct thumb sucking, and eliminate abnormal swallowing or speech problems. In other words, early treatment can simplify later treatment, after all the permanent teeth erupt.